We specialize in premier landscape design and construction for both commercial and residential customers. We’re passionate about providing exceptional customer service while creating a landscape design that increases the value of your property, provides notable street appeal and complements a warm living or working space. Before you plant in your yard, research what pests you have in relation to what you’d like to plant. For example, some plants can attract and feed deer, so it is a good idea to find out which plants are deer resistant or plan on applying deer repellant after planting. If there are wild rabbits around, you may need to shelter your garden by enclosing with a secure fence. There is so many projects that we can do, but here are the most popular: Landscape, Decks & Fences Projects Decks, Porches, Gazebos & Play Equipment Build or repair decks, porches, gazebos, putting greens,etc. 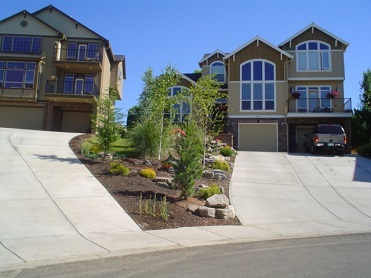 Landscaping - Design & Installation Includes landscape & sod installation, site prep, landscape architects & designers, etc. Maintenance of Lawn, Trees & Shrubs Lawn aeration, mowing & fertilization, tree trimming & treatment, outdoor lighting, etc. 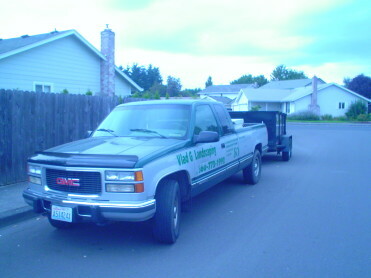 Fences, Repair or install fences: wood, vinyl, chain link, aluminum, etc. Landscaping - Sprinkler Systems Install or repair sprinkler systems & mist cooling systems, etc. Outdoor Patios, Steps & Walkways Includes installation & repair of asphalt & concrete driveways, patios & walks, snow removal, etc. Outdoor Walls & Retaining Walls Includes installation & repair of brick, stone, block, poured concrete & retaining walls, etc. Pools & Water Features. G 7 Services handles every aspect of landscaping services including design, construction, and maintenance for residential and commercial customers. Our integrated approach to crafting projects takes advantage of the skill and expertise of our diverse, experienced staff and results in a luxurious, distinctive landscape for your home or office.